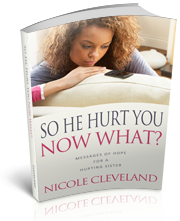 Nicole Cleveland….a woman who wears her heart on her sleeve, it’s not often that you find someone who’s not afraid to love, to give, but who also captures the true meaning of forgiveness. A true sister friend! ~ Pastor Francine Humphrey, Issues Concerning Women, Inc.